I’m not really sure what made me get this album, I think it could have something to do with Taste of Country mentioning Kellie’s name on Twitter regularly as she is up for a few categories in their awards. That and I’m sure I remember seeing this album recommended in the latest issue of Country Music People, so I thought I’d take a chance, not really knowing what to expect. The album kicks off with Where’s Tammy Wynette and immediately I’m confronted with a more traditional country music sound, but that’s ok, her voice is good and along with the second song Unlock That Honky Tonk, they have a good beat and are both foot tapping songs. However, Stop Cheatin’ on Me is the start of a sound I don’t like, and that’s the overuse of guitar bends and slides, if that’s what they are called in the biz. It gives the songs a very dated and almost hokey feel, and the album doesn’t pick up again until Tough, which is by far the standout song of the album. The fact that Tough has a more contemporary feel than the rest of the album is an indication of where my tastes lie. Straight after Tough comes Turn On The Radio, which has a very dated sounding intro and the guitars through the songs do not seem to fit her vocals, and spoil an otherwise good song. It’s all downhill after this I’m afraid, as a combination of those awful guitars and dragging pace can’t lift this album back up to anywhere near the levels of Tough. I really don’t think Kellie’s voice suits the direction this album went in for the most part. I hear a contemporary voice, and a really good one at times, but it’s been muted down and confined within this album sound of yesteryear. 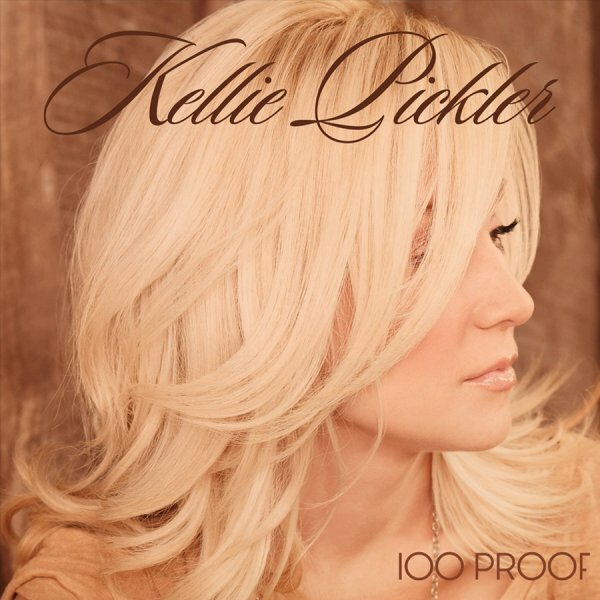 It’s not an album I can imagine myself listening to again and if I am going to listen to any more Kellie Pickler in the future I’ll be checking it out first to see if it’s vibrant modern Kellie or dated Kellie, and avoid the latter. What is wrong with being “dated” ?? Among many others Beethoven and Patsy Cline are “dated” and they beat almost all of the modern musical manure being produced and pushed down the throats of the consumers-zombies of today. There’s nothing wrong in principal with anything being dated, it’s just my opinion that a dated Kellie is not a good Kellie. I’m not saying that it’s not good because it’s dated, because all things dated are bad, but that her signing in the dated fashion didn’t work for me. Ashley Monroe’s Nashville Time Machine Sessions are recorded in a very dated style, and work brilliantly.